THE new Environment Minister Mark H Durkan today announced a £600,000 funding boost for the North’s coastal communities and urged relevant organisations to apply. The Minister also announced that this Coastal Communities Fund (CCF) has been extended to 2016 and has increased from £500,000 last year to £600,000 this year, a 20% increase. 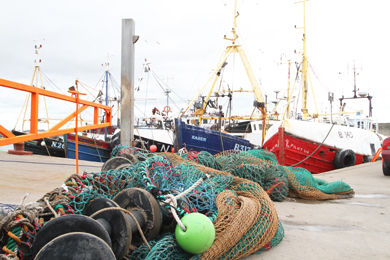 The new DOE Minister Mark H Durkin has announced a £600,000 package for coastal communities. Since it began in 2012, £950,000 has been made available to coastal communities in Northern Ireland of which £450,000 has been awarded for two projects in Glenarm and Magheramorne. The remaining £500,000 will be awarded in December. Councillor Carmel O’Boyle said: “I am confident that part of this £600k will be awarded to Newcastle. This will come on top of the £255k funding that our Newcastle Revitalisation Group recently managed to secure from the DSD for our town. Speaking after the announcement, Minister Mark H Durkan said: “A further £600,000 for investment in our coastal communities is a real boost for these areas. These communities play a vital role in the North, contributing to our wider community and economy. “Successful bids for the CCF funding will be creative and innovative projects that will tap into new business opportunities, create jobs and provide training and new skills that will benefit the whole community. Grants of over £50,000 will be available for projects lasting up to two years. Organisations that can apply include charities; voluntary and community sector organisations; social enterprises, including cooperatives and community ownership initiatives; local councils; development agencies and private sector companies. The CCF is financed by the Government through the allocation of funding equivalent to 50% of the revenues from the Crown Estate’s marine activities. Rising revenues have meant increased money for Britain and Northern Ireland’s coasts to combat economic decline and create opportunities for people. The Minister added: “It is right that revenues raised in the North are used to help communities realise their economic potential. It is encouraging to see this support for our much-loved seaside towns along our coast. Successful bids to the CCF are chosen because of their impact on local jobs, training and their ability to drive forward growth. The successful bids for this year’s pot will be announced in December and nominations for year three will open next spring.